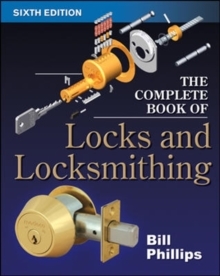 Boost Your Career Potential with Today's Most Complete Guideto Advanced Locksmithing Skills, Techniques, and Systems! 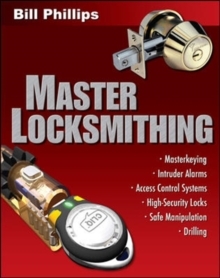 Turn to Master Locksmithing for clear, nontechnical guidance on the full range of advanced locksmithing skills, techniques, and systems. 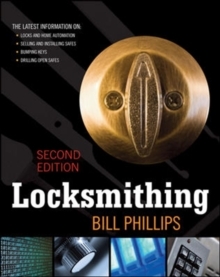 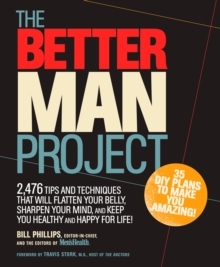 Written by the renowned locksmithing author Bill Phillips, this career-building resource provides hard-to-find material on such important topics as masterkeying, intruder alarms, access-control systems, cutting-edge automobile locks, high-security locks, and safe drilling.